South Africa is a vast country full of travelers’ delights. Whether you’re visiting for culture, education, food and wine, beautiful beaches, hiking trails or the Big Five, there’s almost too much to experience. With the perfect blend of first world and third world to keep people coming back, South Africa is becoming more and more popular. Don’t worry though, there’s still plenty of unexplored and overlooked areas that are worth the trip. From the Northern Cape through to Gauteng, these hidden gems will make you want to visit right now – best you start searching for flight specials, because the road less travelled is about to be exposed. Here are some of South Africa’s best kept secrets, and you really don’t want to miss out on them. We know, Johannesburg is hardly a ‘secret,’ right? Well, yes and no. 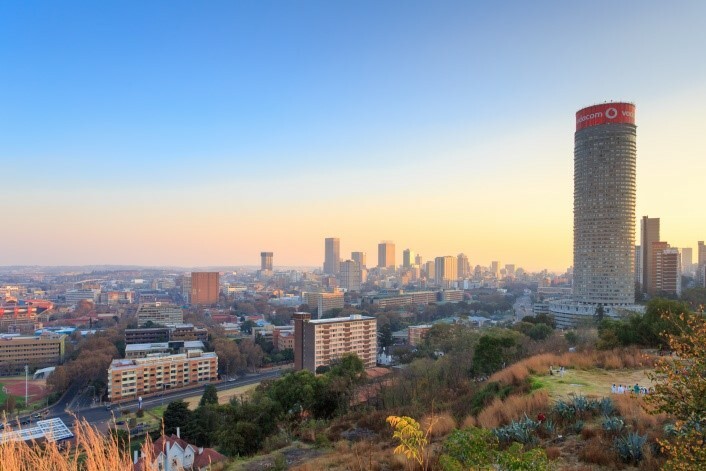 Of course everybody knows about Johannesburg, but very few people know how much it offers and how worthwhile it is to visit, except the locals. Sure, there’s no mountain or sea, but there’s so much else! It definitely deserves to be more than just a quick stopover or hub for cheap domestic flights to other destinations. What’s worth doing in Joburg? There’s the apartheid museum and Soweto tour for history and culture, the Maboneng precinct for food, markets and art galleries, Sandton and Mall of Africa for world class shopping, cocktail bars fit for the stars, loads of heritage sites, mind blowing restaurants, the nearby Cradle of Humankind, and a lot of Big Five nature reserves within easy driving distance. So next time you’re in Joburg, don’t just pass through. Part of the Northern Cape, the Green Kalahari is a surprisingly lush area of the famously arid province. It’s also home to Orange River Cellars, the second largest wine producer in the world, and the biggest in South Africa. There’s so much to see and do here, from Augrabies falls - the biggest waterfall in South Africa - through to swimming in natural pools and gorging yourself on the best karoo meat and dried fruit. A little off the beaten track, the long journey to the Green Kalahari is worth the reward. It’s hard to find domestic flights to the area, so we suggest you take a drive and explore the old-fashioned way. Clarens is slowly gaining popularity with locals, but this little Free State gem is the kind of place that should be pulling people in for miles around. It’s within easy driving distance of Gauteng, and has all the old-school charm in the world. It even has its own brewery, which serves delicious homemade cherry juice, hazelnut ale, and cherry cider. This place is a hikers paradise, and it also plays home to the Golden Gate Highlands National Park, which is famous for its sandstone cliffs and San rock paintings. You can also get a dose of culture and history by visiting the Basotho Cultural Village.